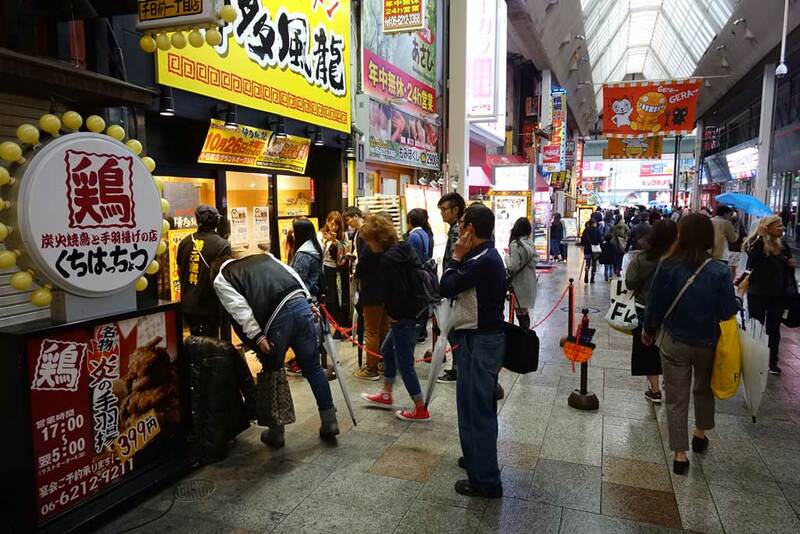 Go to Nihonbashi station, enter Sennichimae shopping street from Sennichimae street, and you are in Dotonbori (again), with eateries all around. I wanted ramen again, of a different kind. But, in an area so full of pubs and restaurants, with three ramen places right around you, where do you go? Here, I decided to forego the place that is rather too well known and tourist-oriented. Another that didn’t have people waiting didn’t look too good. So, I went into the one with the most people in line. 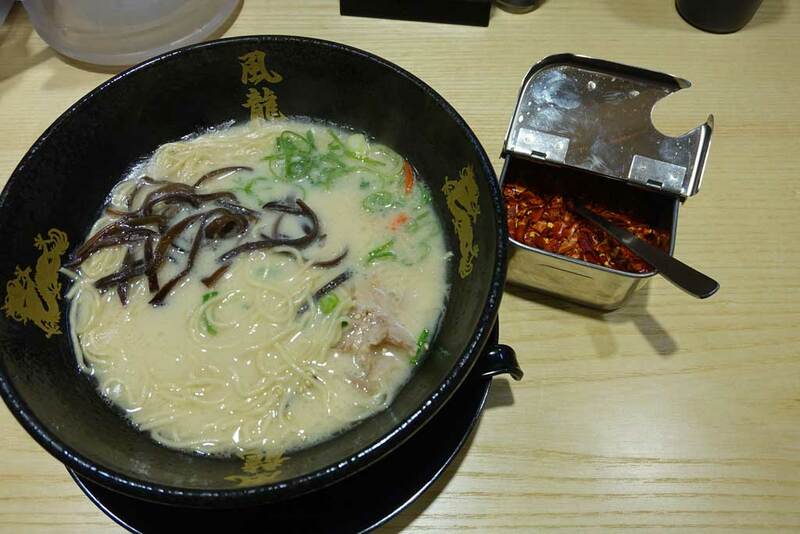 Turned out, it was just because they were running a special promo where you could get a bowl of their standard tonkotsu ramen for just 300 JPY – or even win it if you had liked them on social media. It was my first time ordering and paying at a ramen ticket machine right after the entrance. It was quite okay a broth, though much better with chilli and other spice and pickles added. It was quite a disappointment, with chashu pork that was far from tender and noodles that were just so-so. For 300 yen, though, (basically like $2,50) it was warm and filling and it is hard to really complain.